New York Fashion Week continues, and there have been plenty of fabulous collections. I've already talked about some of my early favorites, and today, I'm gonna talk about some more of my fave runway shows. If you aren't paying attention to Rosie Assoulin, you're doing something wrong. She's one of the most innovative designers to come out of NYFW in recent years, and time and time again she ups the ante with gorgeous, inventive clothes. From creative takes on suits (corset pants, ruffle hems, etc.) 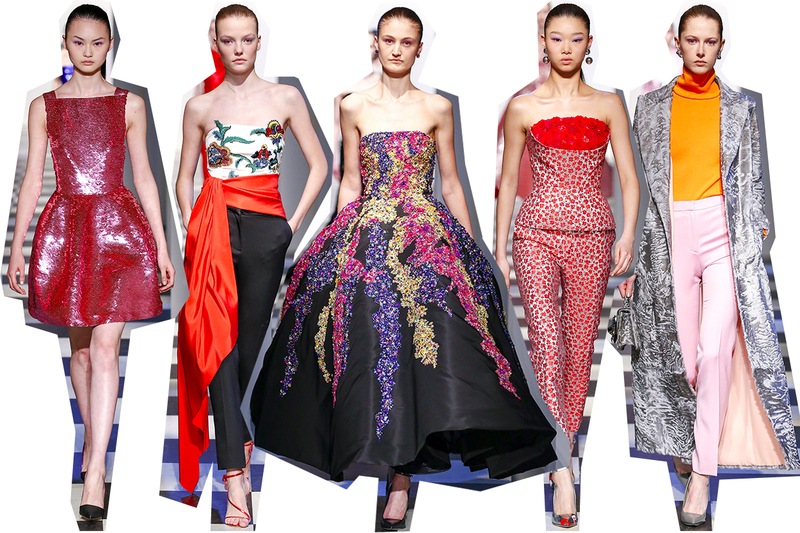 to collage-like dresses made of flower shapes and voluminous, ruffle-accented gowns made of brightly-colored fabric. These clothes are lovely, but more importantly, they're really fun. Who wouldn't want to wear a cozy knit sweater with a giant floral brooch pinned to it? Or a wrap-tie blazer sure to get you compliments? Or, my personal favorite, a full-skirted dress with real pressed flowers embedded into the fabric? Today's fashion-forward women are looking for details, uniqueness, and fun in the clothes they wear, and Rosie Assoulin is just the place to find all these things. If an Italian Renaissance princess stepped through a time portal and into the 21st century, she would wear this Altuzarra collection. It combines the ornateness and beautiful structure of Renaissance fashions with the practicality and coolness of the contemporary, and again, Joseph Altuzarra has knocked it out of the park. 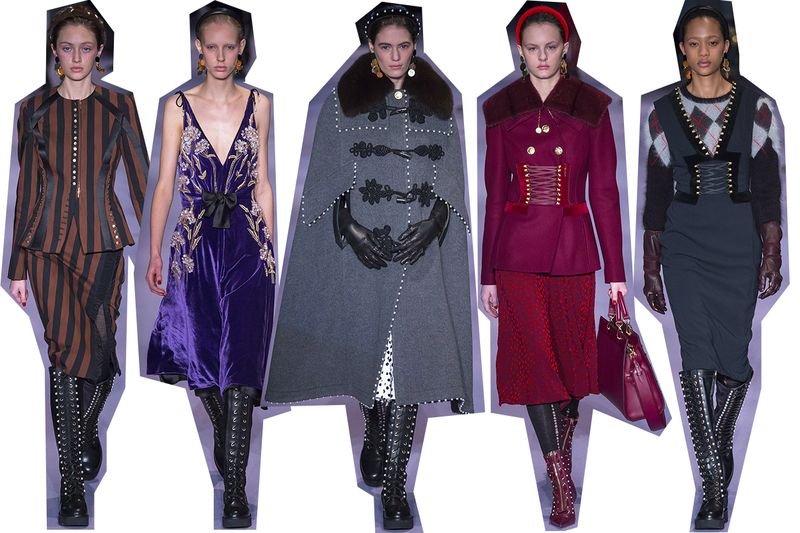 Some looks bordered on Dolce & Gabbana extravagance (I'm looking at you, gray maxi cape with pearl trim and fur collar) but for the most part, these ensembles were the sophisticated and modern looks that we have come to expect and admire from Altuzarra. Oscar de la Renta has always stood for American glamour, but glamorous does not always have to mean boring and stiff. Glam can be totally fun! And if you need any more convincing, new head designers Laura Kim and Fernando Garcia are here to help! 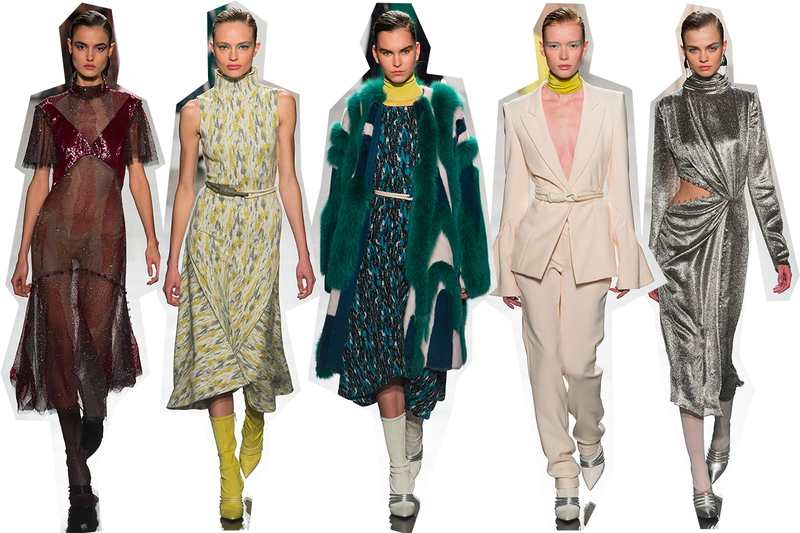 Fall collections are often muted in color, but Kim and Garcia brought the color. Models wore brightly colored suits, neon gowns, and colorful sashes, making for an eye catching statement. Of course, there was plenty of black and white for the older crowd that wears de la Renta every day, but there was something for all age groups in this collection. The standout looks were the red-carpet-ready ones, like a red and silver jumpsuit with a bodice like an overflowing bouquet of roses, or a beautiful black ballgown with pink, yellow, and blue embellishments that is just begging to be worn at the Academy Awards. A lot of the NYFW collections have been concerned with how to dress the modern working woman, and in dressing the modern woman in general. In a world of female presidential candidates and women's marches, fashion must respond: what is feminism? And what is femininity? 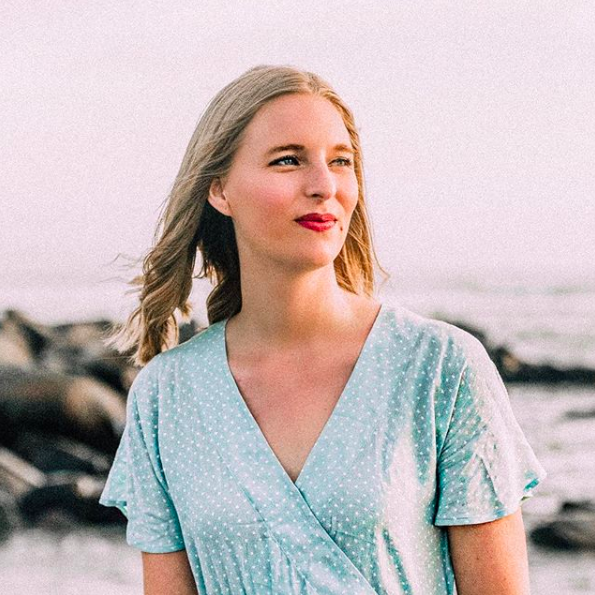 How do women dress to empower themselves? Prabal Gurung had these questions in mind for Fall 2017, and I think he did a wonderful job merging ideas of strength and femininity (which, by the way, are not opposites). 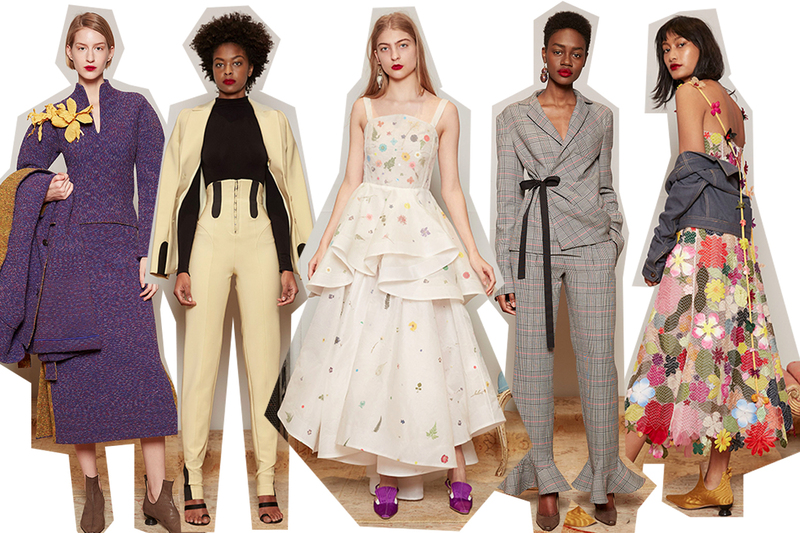 There were pantsuits—Hillary Clinton's sartorial weapon of choice—in soft colors and featuring on-trend wide sleeves, and sculptural dresses with high necklines and long skirts, but there were also light silks, ruffles, and body-hugging silhouettes. In other words, being a strong woman in this day and age means you can wear whatever the heck you want, and I love it. For the finale, Gurung sent the models out in T-shirts with various slogans: "The Future is Female", "This is What a Feminist Looks Like", and so on. He also had models of all body types and skin colors walking. Fashion may sometimes feel frivolous and unimportant, but its relationship to politics has never been clearer, so I love seeing designers like Prabal Gurung use their runway as a platform for ideas of feminism and diversity. Which of these collections is your favorite?